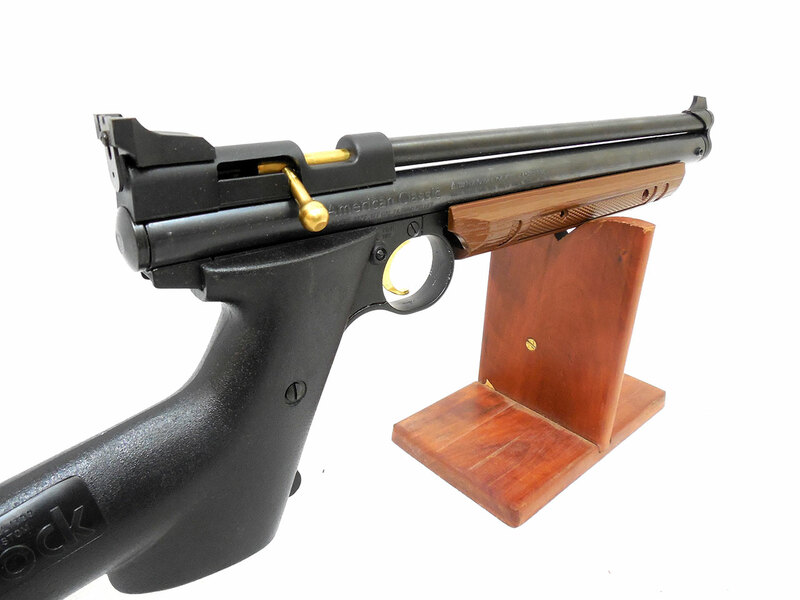 Crosman 1377 American Classic is a single-shot pump-up pneumatic pistol. 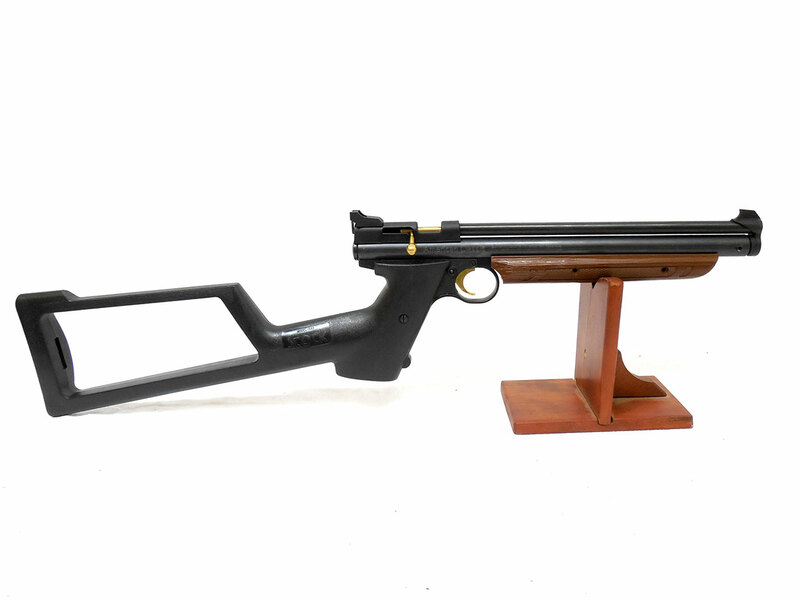 This .177 caliber pistol has brass bolt action manual cocking. 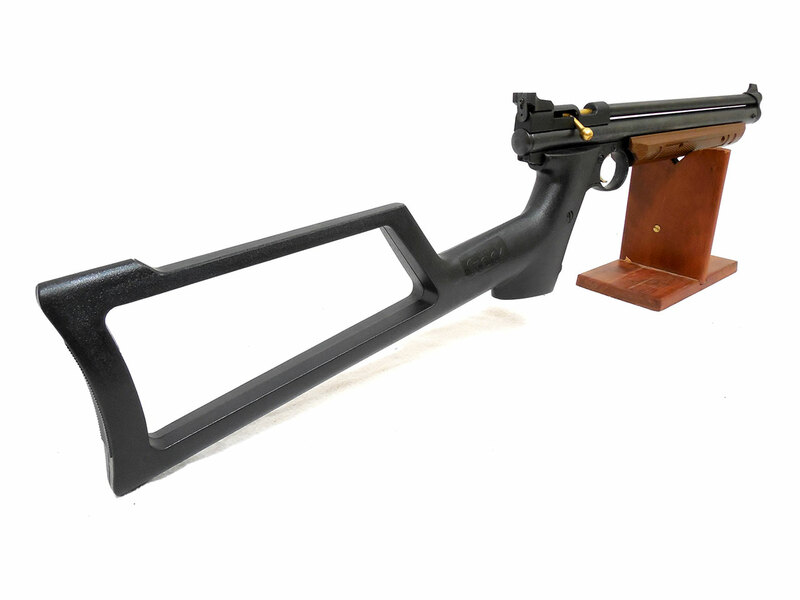 This gun has 90% of its original finish, and all of its plastic parts are in good condition. 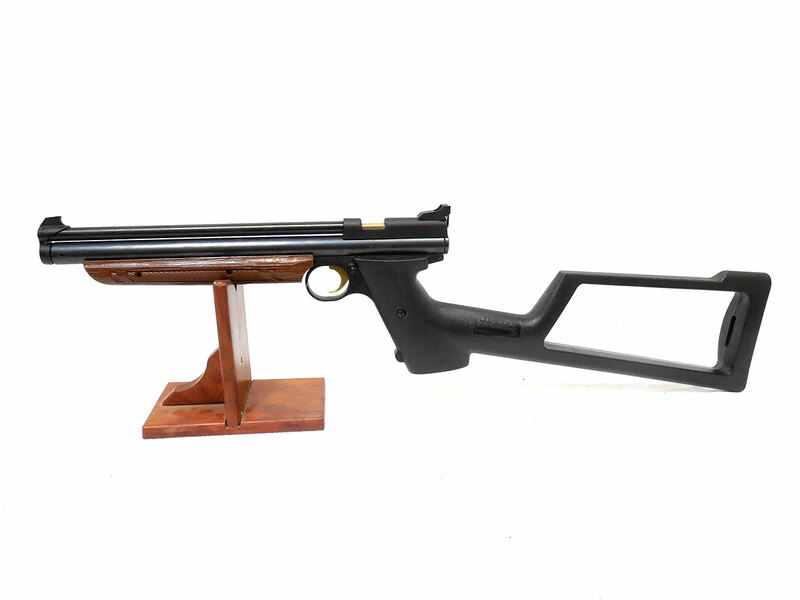 This one comes with a synthetic shoulder stock. Velocity was tested in our shop at around 527 fps using lead pellets.